CRA & Fair Lending Conference! 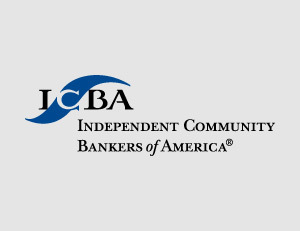 Industry experts from banks, mortgage companies, credit unions, regulatory agencies and community groups will share information about regulatory developments and oversight trends in CRA, Fair Lending and HMDA. 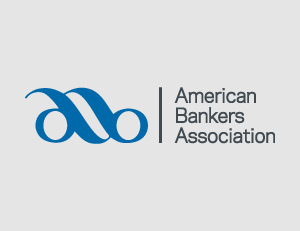 During three days of strategic general sessions and tactical breakout sessions, speakers will share best practices and strategic insights for remaining compliant in today's changing regulatory environment at the industry’s leading CRA & fair lending conference. 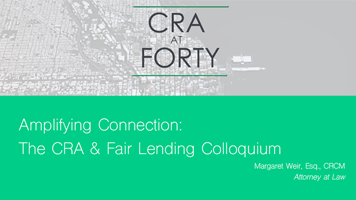 The 2019 CRA and Fair Lending Colloquium is Heating Up! Hot trends, top-notch speakers, hundreds of compliance peers. In this excerpt from the publication “CRA at Forty,” Margaret Weir explains the enduring impact this conference has had on the industry. The Conversations will Amaze You! 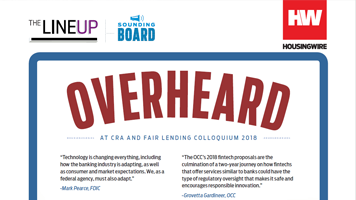 Just look at what was said at the 2018 CRA and Fair Lending Colloquium, as featured in Housingwire magazine. You will receive a full refund, less a $150 processing fee if written cancellation is received BEFORE Friday, October 11, 2019. No refunds will be given after this date. We are happy to accept a name change so that someone else from your institution can make use of your registration and attend in your place. To cancel, please choose the Unregister button on your confirmation page. 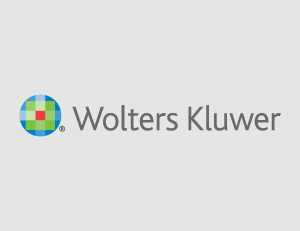 If you wish to cancel offline, email Wolters Kluwer Customer Support or call (800) 552-9410 and select option 3 and then option 8. Rooms are available for our attendees at a discounted rate of $259 per night, plus tax, for a standard room. Rooms are available until October 10, 2019 unless the rooms within our block sell out prior to that. After October 10, 2019, rooms may still be available but at the prevailing market rate. We also have a limited number of rooms available for attendees at the government rate. The reservations will be made at the prevailing government rate, and adjusted once the new rates are published. According to the JW Marriott Hotel’s website, the Orlando International Airport is 10 miles from the hotel. 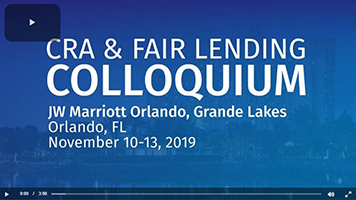 The 2019 CRA and Fair Lending Colloquium will be held at the JW Marriott Orlando, Grande Lakes. We have made a limited number of rooms available for our attendees at a discounted rate of $279/night for a Deluxe room (excluding taxes and fees). The discounted room rate is available until October 10, 2019 or when the room block if full (whichever comes first). To make a reservation at the hotel, you must use your conference registration confirmation code; you will receive this code after you have registered for the conference. Hotel reservations can be made at the links below. Government attendees can reserve a room here. All other attendees can use reserve room to get our discounted rate here.